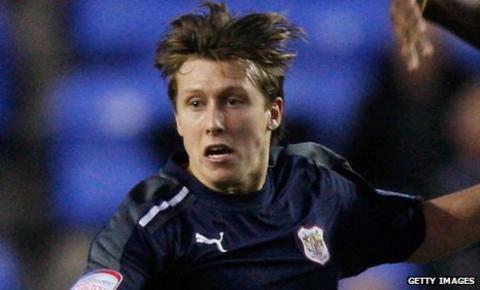 Stevenage have completed a permanent deal for Arsenal striker Luke Freeman and signed Everton midfielder James Wallace on a month's loan. Freeman, 19, joins Boro for an undisclosed fee and has agreed a contract until 2014. He has been on loan at Broadhall Way since November, playing nine times and scoring his only goal in the 6-1 Boxing Day thrashing of Colchester. The forward joined the Gunners for £200,000 from Gillingham in 2008. Wallace has made the switch to the League One side after recently returning to Goodison Park from a spell with Shrewsbury, where he played three games. The 20-year-old has made one senior appearance for the Toffees, coming off the bench in a 1-1 Europa League draw with Sigma Olomouc. He spent the latter part of that year sidelined by a double hernia before loan stints with Bury and Stockport.